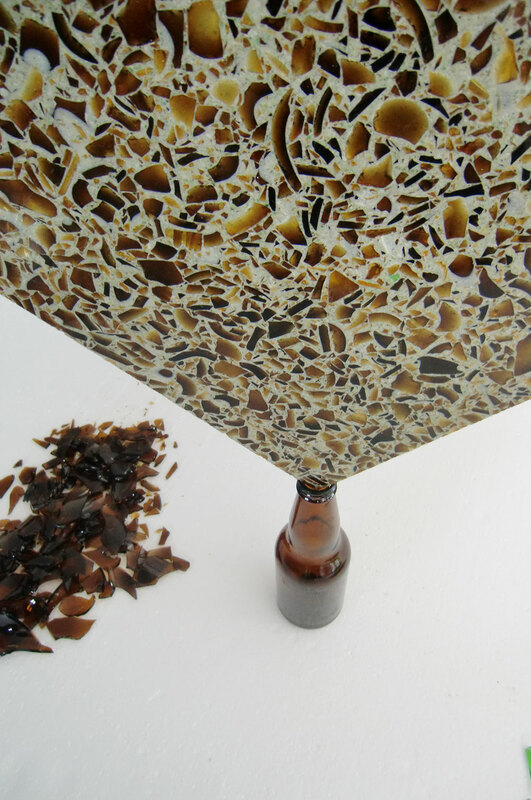 This product has been presented at various exhibitions such as the National Home Show, the Future Hotel show, the ECOSPHERE Environmental and Green Housing Fair, and at the Montreal Science Centre. 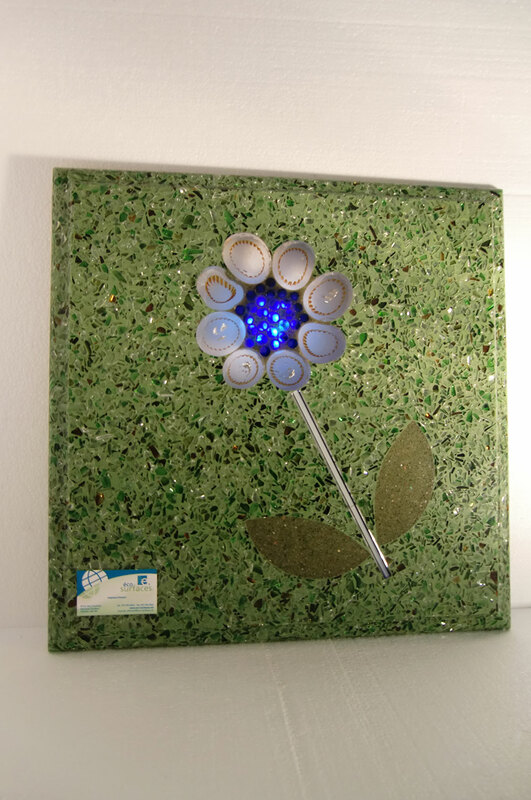 It has been very well received by both consumers and professionals. 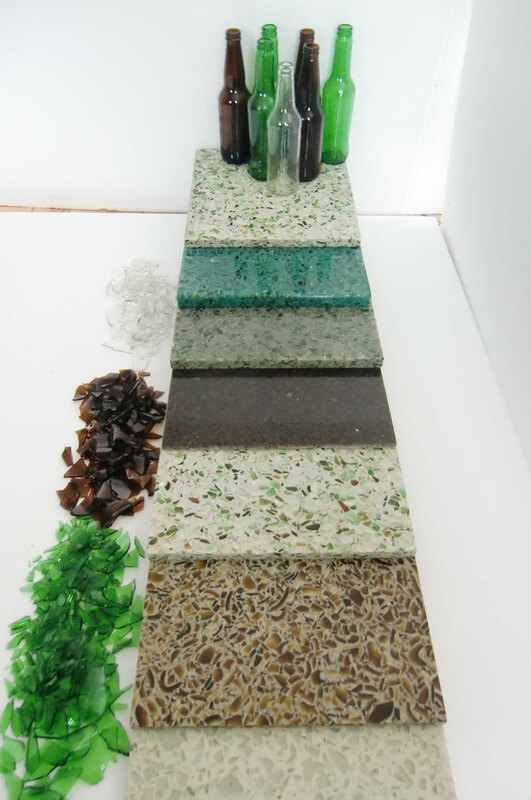 Some panels have been used in consumer renovations, such as kitchen backsplashes and counters, shower panels and columns. 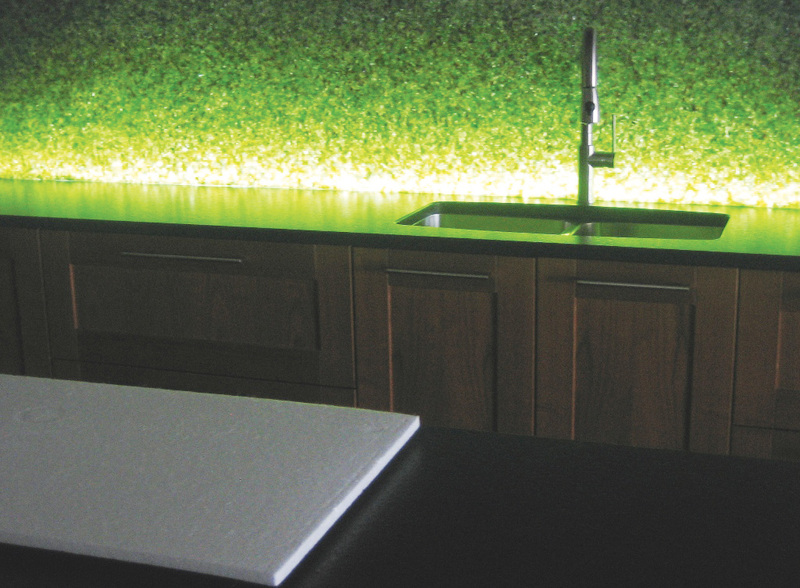 The panels have also been used as a countertop at the S.A.Q.’s Montréal distribution Centre. 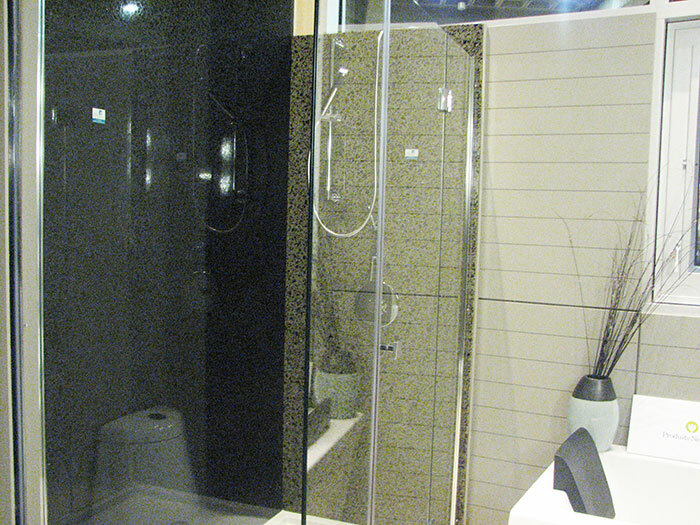 Installed in 2009, they are still in use. 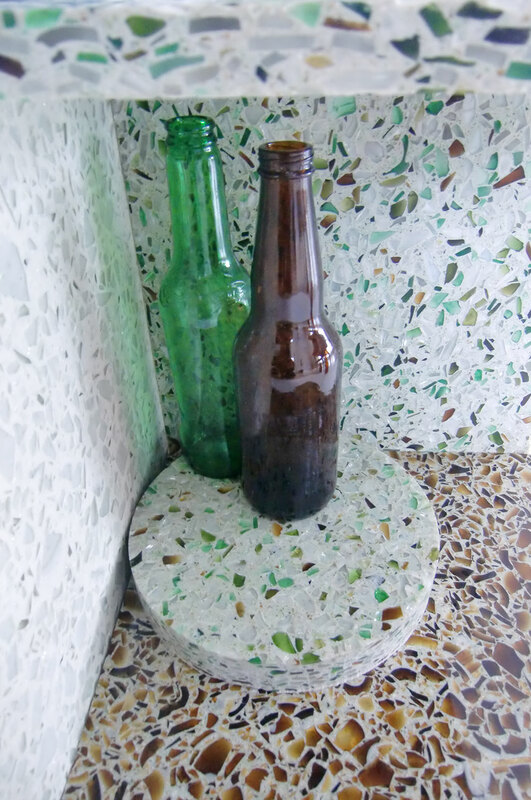 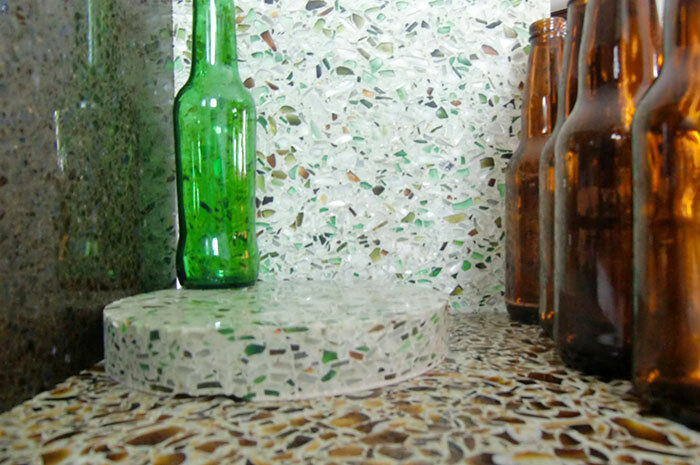 Eco-Surfaces Inc. presents its new concept in in recycled glass – intellectual property that constitutes a global, sustainable innovation. 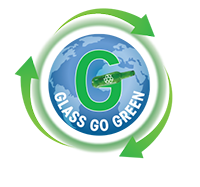 We are an R & D business that has developed its own production process for recycling glass.